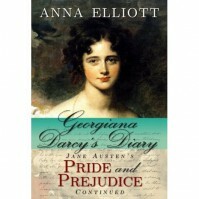 After her brother's marriage, Georgiana Darcy begins to spend more time in Society. Among the contenders for her hand are several fortune-hunters and a man seeking a marriage of convenience--but not the man she's loved all her life. He is engaged to another. To distract herself, Georgiana spends more time with her sickly cousin Anne and with the cottagers on her brother's estate; these interests not only help others, but draw Georgiana out of herself even more. A sweet, slow-paced tale. Nothing particularly new happens in this story, but it also stayed pretty true to the existing characters, unlike a deplorable number of other Austen-spin-offs. I wasn't caught up, however, and feel no real urge to read further into this series.